Firestorm has turned up in one of the more bizarre toy mash-ups! Thomas & Friends (a.k.a. 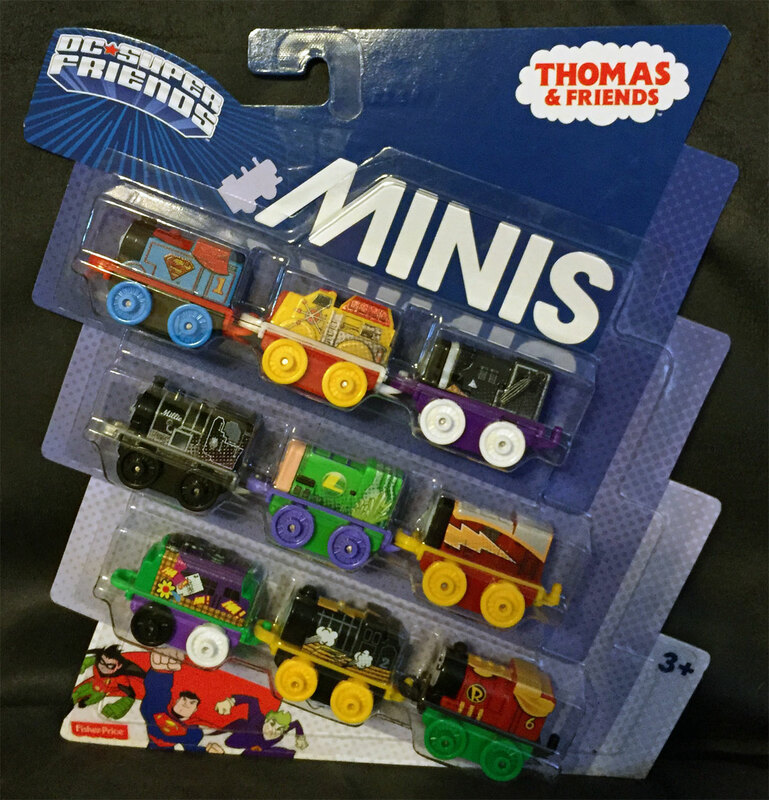 Thomas the Train, or Thomas the Tank Engine) has teamed up with Fisher Price’s DC Super Friends line of toys to produce superhero trains! 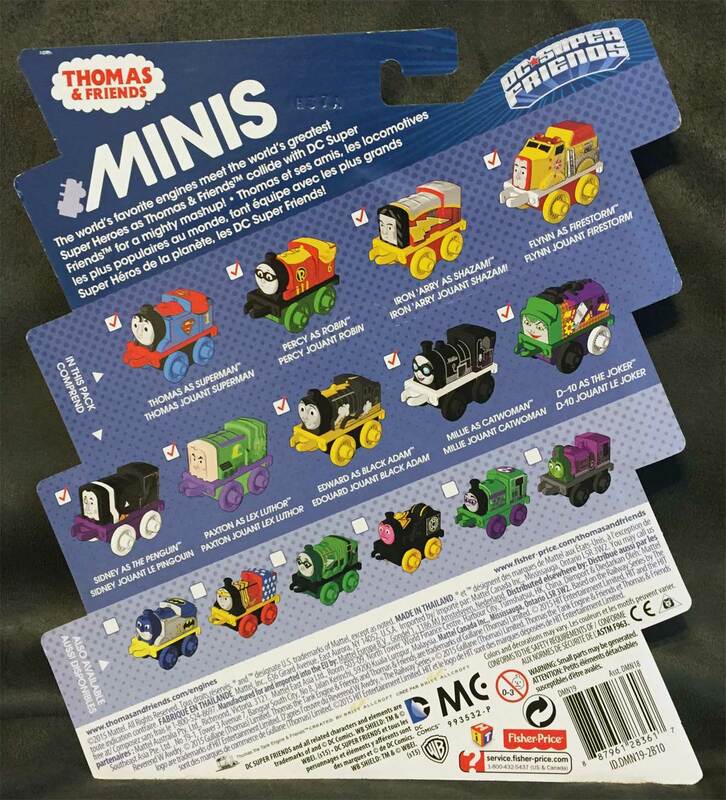 Firestorm is just one of these trains in their “Minis” line. 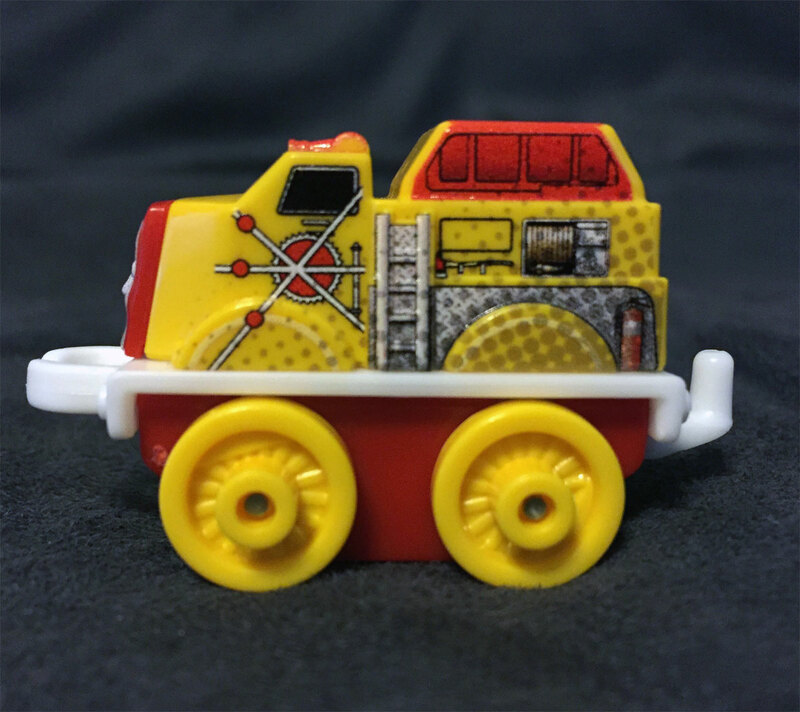 Below you’ll find Flynn the Fire Engine re-imagined as Firestorm! Click the images to enlarge! Here is the packaging (front and back). Notice all the other super heroes and villains! Click the images to enlarge! Finally, since these are “Minis”, I thought I would provide a sense of scale. 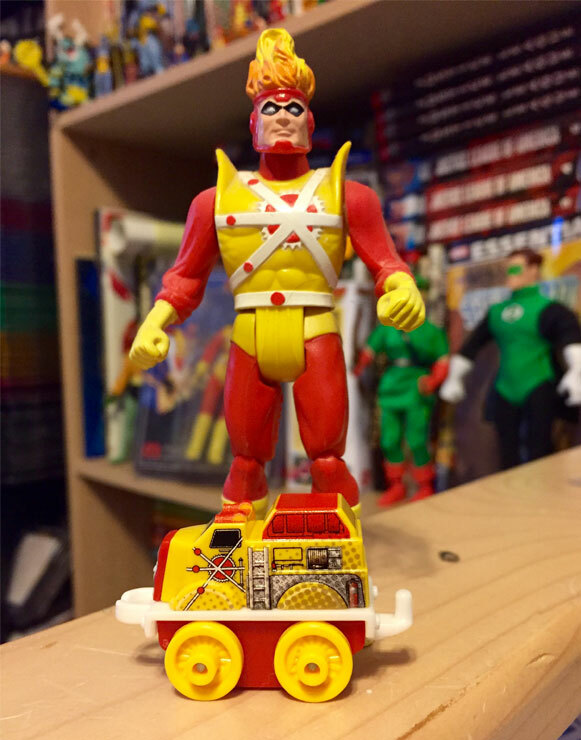 Notice this train is barely an inch high in comparison to the classic Super Powers Firestorm action figure. I found this set of trains at Wal-Mart for about $15. Happy hunting, Match-heads! My thanks to Jeremy Hobbs for the heads-up! 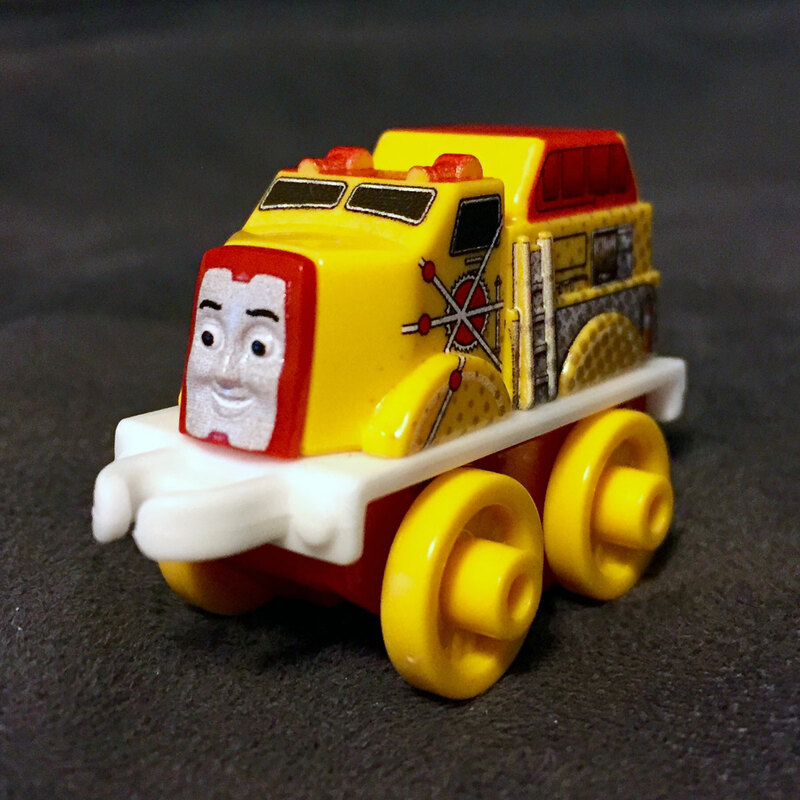 Support Firestorm (and Thomas the Train)! Fan the flame! Is it sad that my first reaction is that he is missing his tender? Why yes, I have three children age 6 and under in my house. These are the oddest mash-up ever. That said, I had to nab me the Harley Quinn engine from the blind-bag wave!